In February 2016, former JNUSU president Kanhaiya Kumar and others were assaulted inside a Delhi trial court. NEW DELHI: The Supreme Court today dismissed a plea seeking an SIT probe into the February 2016 violence inside a trial court here during which former JNUSU president Kanhaiya Kumar and others were assaulted, saying it would not "flog a dead horse back to life". A bench comprising Justices Ranjan Gogoi and R Banumathi did not accept the contentions advocating contempt action against the police officials and others for the incident which was described as "ghastly action" by the petitioner. "What ghastly action," the bench asked advocate Prashant Bhushan, who appeared for petitioner and advocate Kamini Jaiswal. Bhushan referred to the February 15 and 17, 2016 incidents of attacks on Kanhaiya, scribes, students, JNU teachers and defence lawyers inside the Patiala House district court premises here. "We do not think of proceeding further. There is no need for an SIT (special investigation team)," the bench said. To this, the lawyer said if no action is taken, then it might encourage people to do such acts. "We will not proceed. We do not think we will flog a dead horse back to life. If you have grievances, you can take appropriate steps. You can lodge an FIR," the bench said. "We find no reason to continue to entertain the present writ petition any further. The writ petition is accordingly dismissed," the top court said. "Needless to say that the present order does not prevent the petitioner from taking appropriate action in accordance with law, if so advised. We have expressed no opinion on merit," it said in the order. Senior advocate Ajit Kumar Sinha, appearing for Delhi Police, did not have to labour hard to oppose the plea. The petitioner had sought initiation of contempt action against police officials and others for their alleged failure in protecting Kanhaiya from being assaulted inside the court. 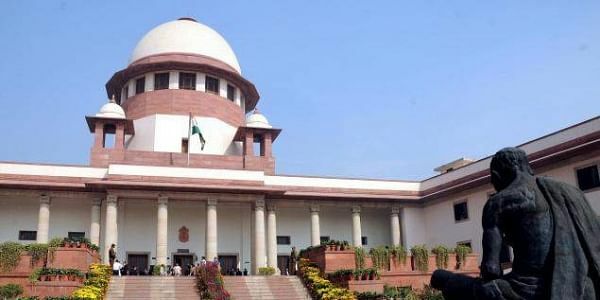 The apex court had earlier questioned the police over the presence of some unsolicited persons in black robes in the courtroom where the then JNUSU leader was purportedly assaulted before being produced in connection with an alleged sedition case.